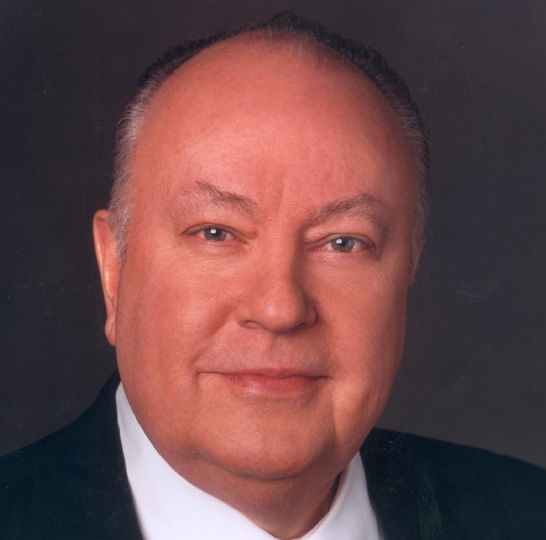 Roger Ailes serves as the Chairman and CEO of FOX News as well as the Chairman of Fox Television Stations. In this position, Ailes oversees all national operations for FOX News and serves as a senior advisor to Rupert Murdoch, Chairman and CEO of the News Corporation Limited. He also has oversight of Fox’s 27 broadcast television stations and Twentieth’s Television’s syndication group. Recognized by U.S. News and World Report as one of America’s Best Leaders in 2005, Ailes was also awarded The Media Institute’s Freedom of Speech Award, as well as the Radio and Television News Directors Association First Amendment Leadership Award. Since joining FOX News in February 1996, Ailes created FOX’s first weekly public affairs show, FOX News Sunday, which has one of the youngest median ages amongst the Sunday talk shows and is now available nationwide. Ailes also oversaw the successful creation and launch of FOX News Channel (FNC), FOX’s 24-hour cable news channel, the fastest growing news network in the country which currently reaches more than 90 million homes. In January 2002, FNC passed CNN in ratings in all day parts and became the number one news channel in America. On October 15, 2007 Ailes launched the Fox Business Network, a 24 hour financial news channel. Prior to FOX, Ailes was President of CNBC, NBC’s business news and talk network, beginning in September 1993. Under his leadership, CNBC established itself as the leading source for business news and became the fastest growing major cable network. in America. During his tenure at the network, ratings more than tripled and profits increased from $9 million to over $100 million. Ailes also oversaw CNBC’s 1995 worldwide expansion to Europe and Asia. In addition, Ailes was President of America’s Talking (A-T), an information talk channel, which later became MSNBC. Between A-T and CNBC, he was responsible for more live programming than any other television executive in America – 31 ½ hours daily. He also created the CNBC “Talk-All-Stars” concept attracting such notable stars as Tim Russert, Geraldo Rivera, Chris Matthews, Dee Dee Myers and Gerry Spence, which dramatically increased CNBC’s prime time ratings. Ailes’ television roots are deep and well established. In 1965, at age 25, Ailes rose from prop boy to executive producer of “The Mike Douglas Show.” Under his supervision, the show was nominated for two Emmy awards and won its first Emmy in 1967, becoming the most-watched syndicated talk show in America. Over the years, Ailes also produced several television specials, including: the Emmy Award-winning and nationally syndicated “Television and the Presidency,” featuring historian Theodore H. White; “Television: Our Life and Times,” a nationally syndicated two-hour retrospective of television entertainment programs; a nationally syndicated documentary on the legendary Italian film director Federico Fellini, and an hour-long wildlife special, “The Last Frontier,” with Robert F. Kennedy, Jr. In 1981, Ailes served as Executive Producer of the NBC program “Tomorrow: Coast to Coast.” Additionally, in 1991, after the Gulf War, Ailes was Co-Executive Producer of “An All-Star Salute to Our Troops,” a two-hour entertainment special, which aired on the CBS Television Network. For more than two decades, Ailes has worked as a top consultant and/or executive producer for several major television projects, including work for Twentieth Century Fox and Paramount Television. From 1970-1992, he owned Ailes Communications, Inc., a diversified communications consulting company whose clients included three U.S. Presidents, several senators and governors, as well as Fortune 500 CEO’s. In 1992, Ailes retired completely from political and corporate consulting to return full-time to television. In 1987, Ailes authored a critically acclaimed communications book, You Are the Message (Doubleday), recognized as “one of the year’s best” by Wall Street Journal. Ailes recently completed a three-year term as a board member of the National Hemophilia Foundation, a member of the Director’s Guild of America and a Trustee of the National Trust for Historic Gettysburg. He is a native of Warren, Ohio and a graduate of Ohio University, which awarded him an Honorary Doctorate in Communications in 1990. In 1999, Ailes was awarded the Silver Circle Award by the National Academy of Television Arts and Sciences. In 2001, 2002, 2006 and 2007 respectively, Television Week (formerly Electronic Media) named Ailes the Most Powerful Person in TV News. He was also named Broadcasting & Cable’s first-ever Television Journalist of the Year in 2003 and Advertising Age’s TV Marketer of the Year in 2002. Ailes was awarded an Honorary Doctorate of Laws from Pepperdine University in December 2007. In October 2008, he was inducted into the Broadcasting & Cable Hall of Fame, and received the Navy SEAL Patriot Award. In 2011, the Congressional Medal of Honor Society honored Ailes with the John Reagan (Tex) McCrary Award for Excellence in Journalism.